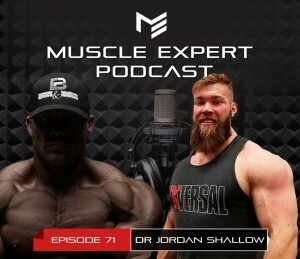 Joining us today is the Muscle Doc, Dr. Jordan Shallow, a chiropractor and world class powerlifter. 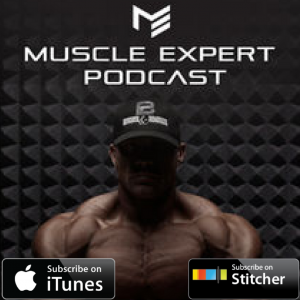 Hear the Muscle Expert and the Muscle Doc discuss the process, and the vital importance of breaking up your daily routine. Dr. Shallow goes deep on why you need to shift your focus away from daily PRs and comfortable training regimens and how integrating variables into your training holds the secret to your results. 2:10- Who is the Muscle Doc? 4:30- A journey through power lifting and chiropractics. 9:48- Instagram culture, daily PRs and training for long term benefits. 15:40- How practicing standing can help to perfect your training. 20:00 How stability acts as a governor to strength. 24:55- Dr. Shallow’s tips for avoiding constant breakdown. 26:25- Mobility, Stability and Strength. Filling the gap and bridging the gap. 32:00- Mitigating injury. Understanding the biomechanics of your lifts. 35:00- Increasing range of motion. 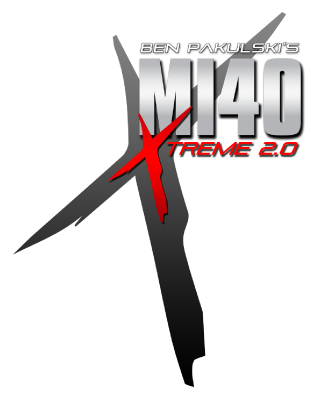 40:14- Find your limits with internal and external rotation. 49:55- Genetic gifts vs. working smart to fill in your deficiencies. 53:20- Keeping up with the Jones’. Injury and the social media arms race. 57:30- Ascension. What does it feel like to lift all that your body can handle. 1:01:10- How to push the envelope and still be healthy. 1:10:10- Tools vs. necessities. Navigating the fitness industry’s focus on products.